Put a bunny in your baby’s basket this Easter! 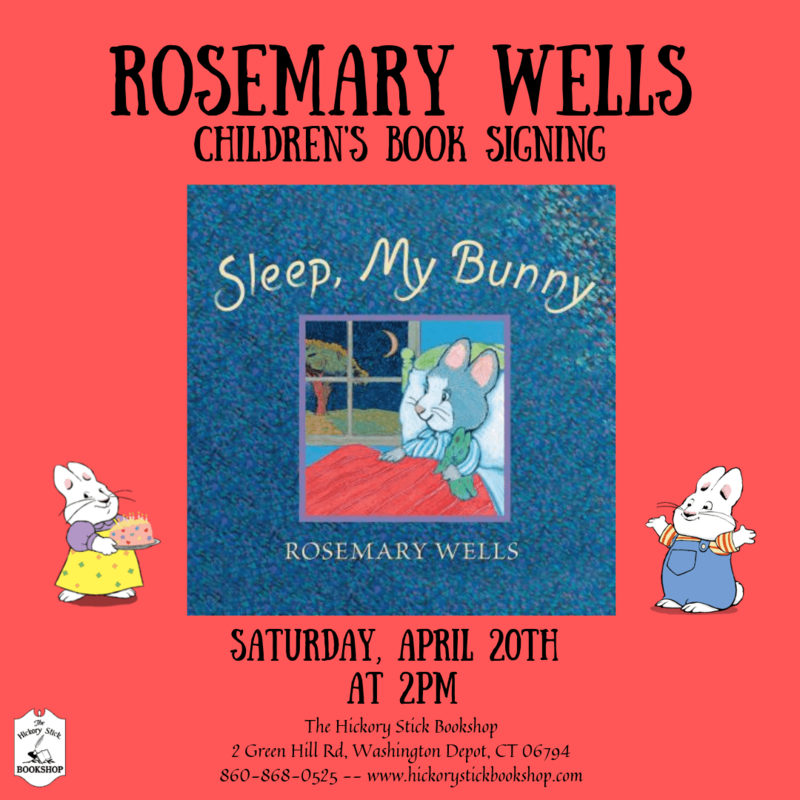 On Saturday, April 20th at 2pm The Hickory Stick Bookshop will host a children’s book signing with beloved author and creator of Max & Ruby, Rosemary Wells. Wells will sign her latest book Sleep, My Bunny (Candlewick, $14.99), as well as several of her former titles. Rosemary Wells has written and/or illustrated more than 120 books for children and has received many awards. She is the author-illustrator of Stella’s Starliner and Love Waves; the creator of the beloved Max and Ruby stories and the Felix and Fiona series; and the illustrator of My Very First Mother Goose and Here Comes Mother Goose, both edited by Iona Opie. Rosemary Wells lives in a small town in Connecticut.